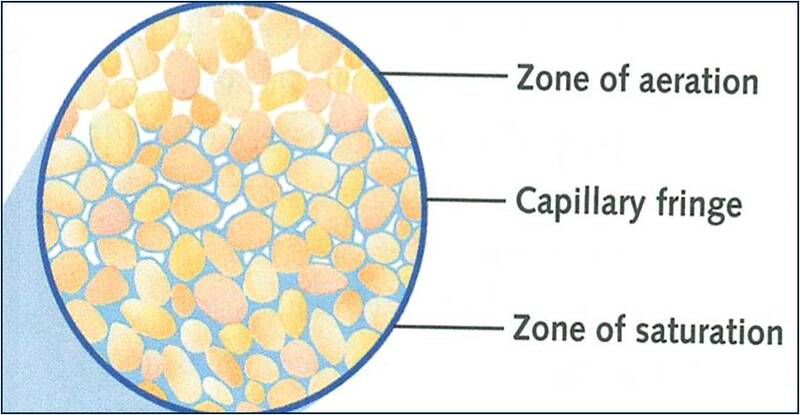 Zone of Aeration: is located just below the surface where the spaces between the soil particles are filled with air. Zone of Saturation: is where the spaces between the soil particles are filled with water. The Water Table: is the interface between the 2 zones. Impermeable: Will not allow water to pass through it. Porosity: The % of open pore space in a sample of soil. Permeability: The rate at which water passes through a material. The process by which water is drawn upwards into pore spaces. 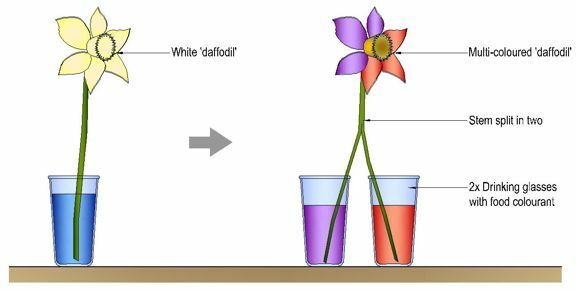 Particle size effects the amount of capillary action (see diagram and graph to the left). 1. Impermeable Soil or Bedrock. 2. Soil is already saturated w/water. 3. Rainfall or spring melt exceeds rate of infiltration. 4. Slope is too steep or lacks vegetation. Equal volumes of rounded particles that are sorted by size would have the same porosity. The larger particles have fewer, but larger, individual pores. The large pores allow water to permeate large particles at a faster rate than smaller particles. The 2 beakers above have equal porosity. 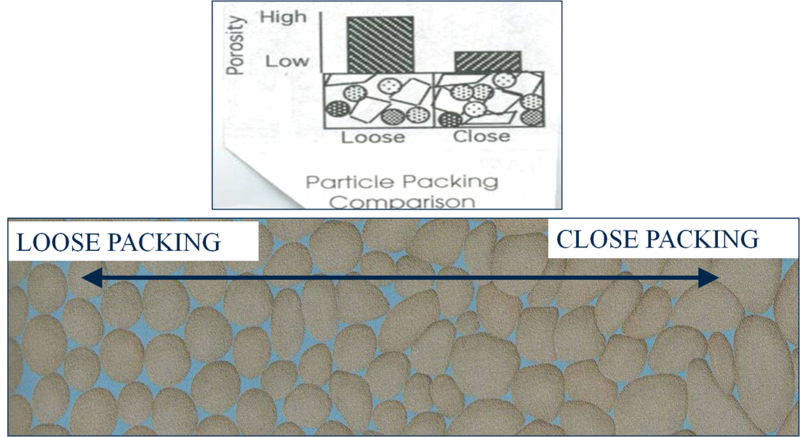 ﻿﻿﻿Packing﻿﻿﻿: Loosely packed particles have more porosity than closely packed particles. ﻿﻿Sorting﻿﻿: The porosity of mixed sized (unsorted) sediment particles is low, while the porosity of well sorted size will be high. The little particles settle between the larger ones, decreasing the overall percentage of empty space.